Our newest little granddaughter is coming soon!! 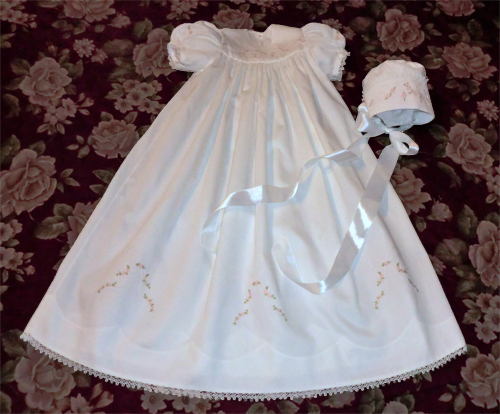 I made Baptism outfits for the other two munchkins, so I’ve been busy working on this project lately and finished it on Tuesday! I love my BERNINA machines – 730, 830, and 1300 MDC serger! I found the pattern – “Sandy’s Joy” –in a Creative Expressions magazine (#9). 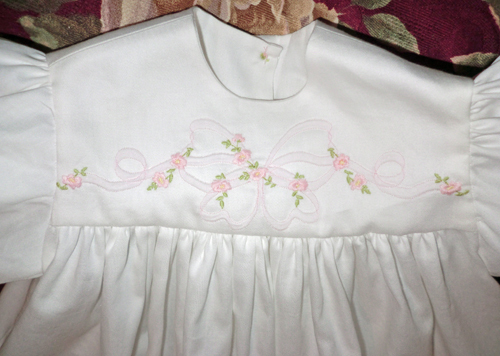 It’s not quite heirloom, but I used some heirloom techniques – Madeira appliqué, hem with pin stitching, lace joining, and French seams. No raw edges show anywhere! I used Jenny Haskins’ “Twin Needle Shadow Work” machine embroidery collection and embroidered designs on the bodice, sleeves, skirt (three each on the front and the back), and bonnet. 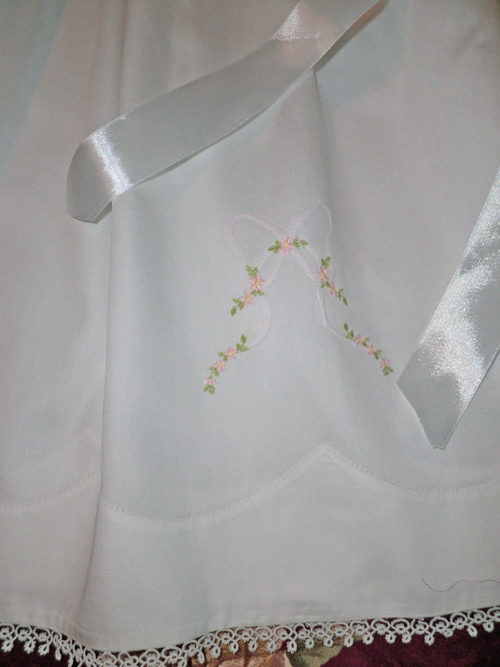 I even did embroidered buttons – pale green stems and leaves with pale pink French knot flowers – on the back of the bodice! Karen, that is incredible! 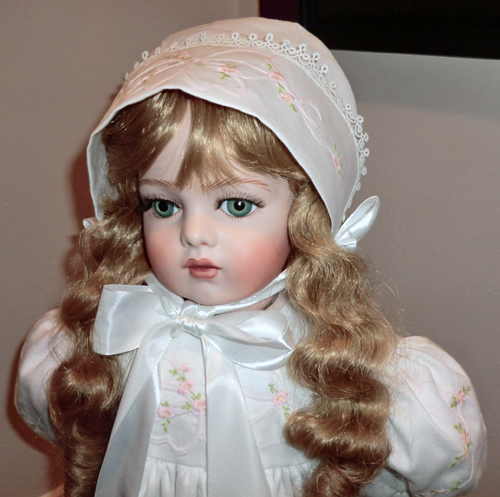 Beautiful work, and I know that the gown and bonnet will be a treasure to the new little one. This is so beautiful. I know how much time and work went into it.